What has this world come to? This is preposterous, bordering on cruelty to 4-legged creatures. Don’t stand for it. What’s next? Not being allowed to sleep on the bed??? So did Tucker read it and weep? Tucker never seemed to us to be a devoted reader. 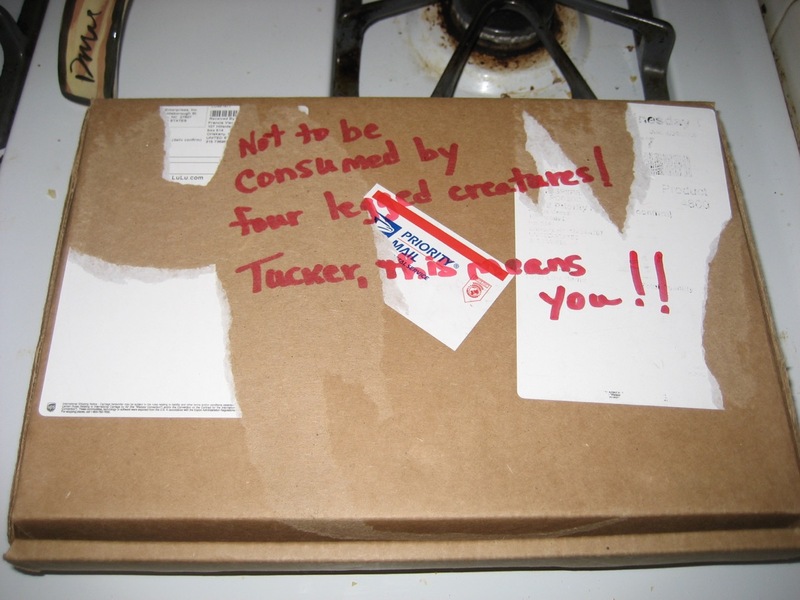 Good thing we can’t read – we hope Tucker did what only a smart dog should do!!! Hmmmmm, somehow I don’t think English was Tucker’s first language BOL! Do you think Tucker got the memo?